As OLD AÇA was fading, keyboardist and producer Paulo Malária thought of quitting music at all. But when the group finally ceased to exist, he was already playing with Nilopolis-based band THE LIRIOS and soon after with Jad Maroja's ESTADO INTERESSANTE. In these bands he met a lot of great musicians, among whose guitarist Zunga Ezzaet, bassist Jarbas Loop and drummers Bruno Mega and Mario Costa. So, in 1989, there was the quartet Jarbas-Bruno-Zunga-Mala, still nameless after many rehearsals, creating an instrumental, 70's prog-driven repertory. Without opposition of Old Aça's members, the group was called ACIDENTE once more (from now on, NEW AÇA. They recorded the LP 'EM CASO DE ACIDENTE... QUEBRE ESTE DISCO', released in December 1989 (dated 1990). Two years later, Bruno left the band, being replaced by Mario Costa, and ACIDENTE recorded its first CD, 'GLOOMLAND', released early 1994. Another line-up switch followed: Jarbas turned gospel and Ary Menezes took the bass. It was the time of 'FARAWAYERS', the band's 1996 album. All these records had been released on Stolen Records, Mala's label. In 1999 Rock Symphony label's owner Leo Nahoum shown interest in releasing 'QUEBRE ESTE DISCO' on CD, and this happened the next year, the album enhanced by specially created bonus tracks (Expo Rock 2000 Supplement). Zunga had departed by then. Good results brought a brand new production, this time labeled by a powerful partnership Rock Symphony - Musea Records (France), featuring new guitarist Renato Borges. 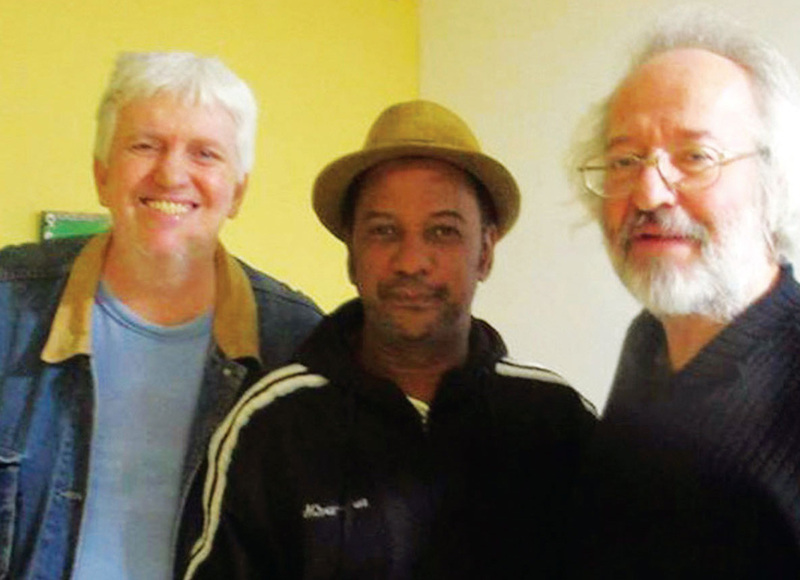 Meanwhile, in the lunch time, Renato-Ary-Mario-Malaria plus founder co-member Scubi Jenné called themselves PEGA VARETAS and recorded a nice CD (MEU PAU DE SEBO, 2003), bringing back the rocking spirit of ACIDENTE's early days. 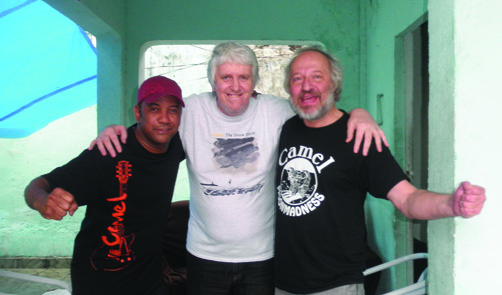 As Renato decided to leave, the band is presently composing and rehearsing as a trio (Mario-Ary-Mala), attempting to release this new disc still in 2005. Time passed and in 2011 ACIDENTE launches ROCK a compilation, celebrating the 30th anniversary of the release of their first vinyl GUERRA CIVIL. Time continued to pass, and in 2012 ACIDENTE launched AINDA, a new album containing 17 unreleased songs, some of them instrumental. 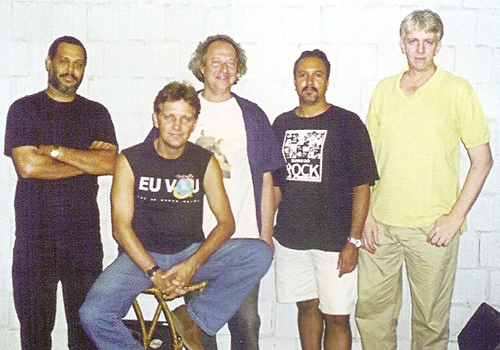 Two years later, in 2014, the band released the CD NINGUÉM PEDIU, with 26 songs (including 25 previously unreleased and just one previously recorded, Loucos). 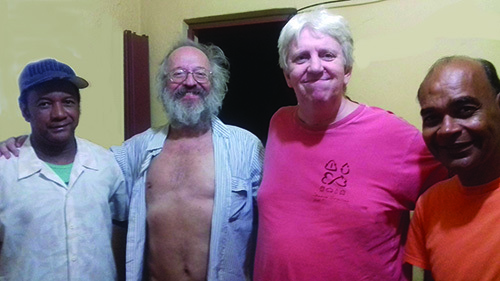 In 2017 ACIDENTE returned once again to the Studio Pico do Eszaet to record "AGORA MUDOU". Once again with the illustrious presence of Zeca Pereira, who was the drummer on the first 3 ACIDENTE albums and now collaborated with 3 new songs, which he sings. Paula Delfino and Fabiana Barbosa also participate with their voices in two songs. In the following year, pressed by their creative compulsive urgency, ACIDENTE returns to Pico do Ezzaet studio where during the 2nd half of 2018 they finished the recordings of TRIMBUCOMORFOSAEDRO released in the dawn on 2019.